Today we would like to start introducing you to the professional team of our Monopoly project! And we will begin our acquaintance with one of the key figures of our team — Pavel Kuznetsov, Executive Director of the project Monopoly! Pavel is a specialist in mathematics, mining and investment. In the past, Pavel was an employee of IVOTECH-the first joint Russian-German company engaged in software development. 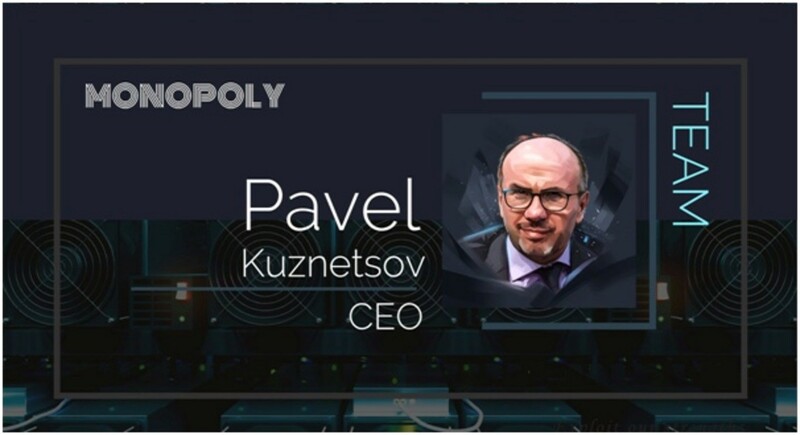 Within the framework of Monopoly project Pavel is responsible for tactical and strategic control over subordinates, controls the course of business processes and directly manages the project. His many years of experience, professionalism and leadership skills are the key to successful development and scaling of Monopoly project in the future.